A big step in satisfying the user’s visual needs will be made in September when the world’s first 8K television launches. At the press conference IFA 2018 Europe‘s largest technology exhibition It was held in Berlin, Germany in early September. 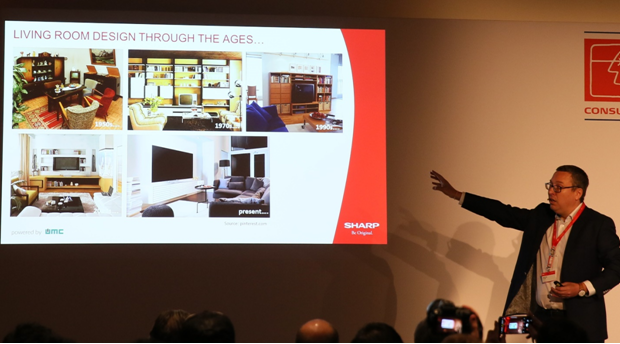 Sharp has announced the launch of the world’s first 8K TV, the L70X500E. According to GFK, the number of TVs sold in Europe in 2017 from 29 inches to under 54 inches has dropped from 13 to 23 percent. Whilst televisions ranging in size from 55 to 70 inches have risen from 23 percent to 35 percent. Only the number of selling 60-69 inch TVs increased to 37 percent. The reason for this change, according to GFK, is that it has changed the living room of European families over the decades. As in the 70s-80s of the 20th century the size of the popular television was only 14-21 inches and then the 32-43 inch LCD TV. Now over 55 inches TV is the right size. Manufacturers are innovating, bringing to market the latest high-definition 70-inch TVs with ultra-high resolution up to 8K technology. According to Sharp, the L70X500E 8K television has a resolution of up to 33 million pixels (7,680 x 4,320). It’s four times bigger than 4K Ultra HD and 16 times the full HD. This ultra-fine resolution leads to a density of 125 ppi in a 70-inch screen. Even in very close proximity, the human eye can hardly spot individual pixels on the TV. This increase in sharpness makes the image look extremely realistic. 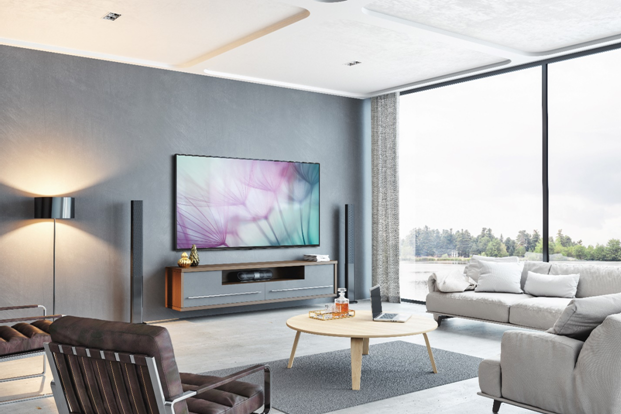 With the 8K technology, 70-inch diagonal displays like the LV-70X500E will become a standard size for living rooms in European house. However, to be able to own this TV soon, users need to save now when the price of the LV-70X500E is estimated at over 11,000 Euro.